Ikea wants to evolve beyond the big-box. The emphasis on experimentation comes as retailers -- especially in the U.S. -- come under relentless pressure from e-commerce giants including Amazon (AMZN). "We understand that the world is changing and customer expectations are changing and we want to continue being relevant," said Michael Valdsgaard, the head of digital transformation at Ikea. "We're trying to do as many things as possible to see what works ... it's like, the more the merrier." That's the thinking behind one of Ikea's key initiatives: A pilot program, set to launch next year, that will allow the company to sell its furniture via third party websites. 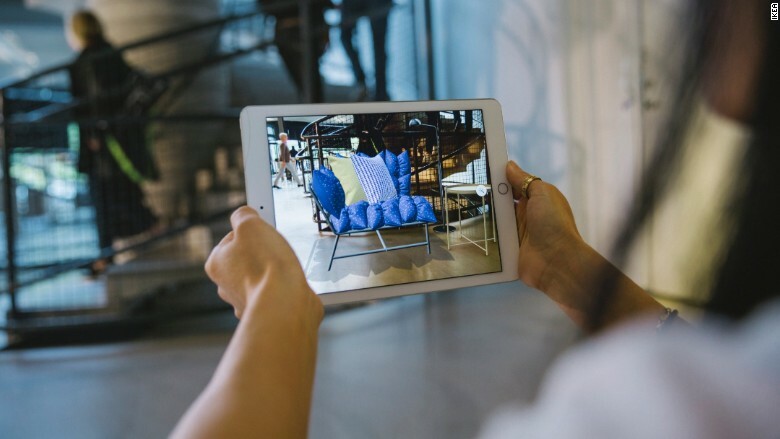 Ikea and Apple (AAPL) are planning an augmented reality app that lets customers "visualize what Ikea products will look like in their own homes, before buying the products." Ikea is launching an augmented reality app in the fall to preview its furniture. "Buying a new kitchen is often a big investment and we want our customers to feel confident about their purchase," said Anders Grafstrom, a member of the Ikea kitchen team. "We believe in virtual reality as one of several tools that will support people in realizing their home furnishing dreams." But it started opening smaller outlets that are closer to city centers in 2015. There are now 44 of the stores -- some of which are roughly one-tenth the size of a typical Ikea -- in countries including the U.K., Canada, Norway, Italy, Japan and China. "For most consumers, the nearest Ikea store is too far away and we are developing the concept to enable more people to reach the Ikea range," a spokesperson said. 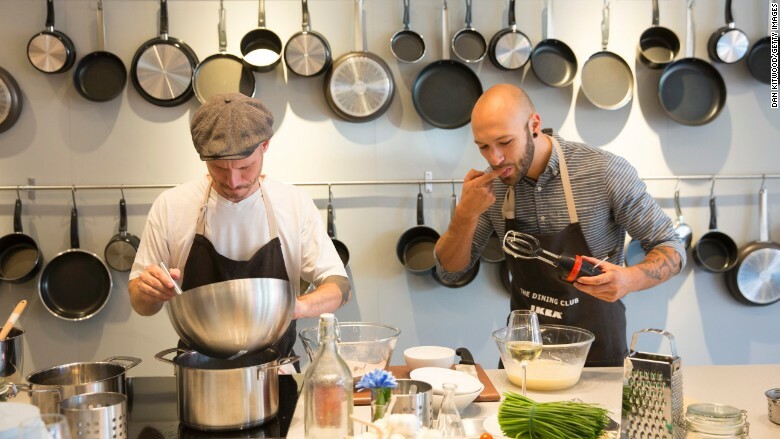 Ikea's "Dining Club" pop-up restaurant appeared in London late last year and encouraged visitors to use Ikea products to cook their own meals for friends. Another pop-up shop featuring Ikea bedroom furniture encouraged visitors to come in for breakfast-in-bed treats. 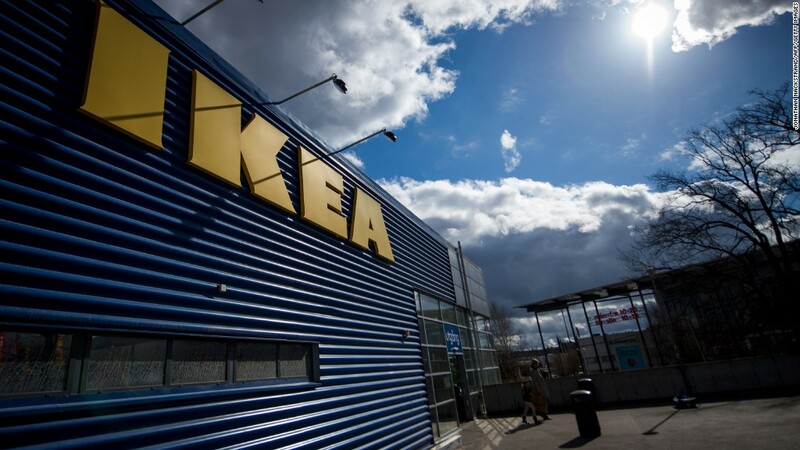 The company denied rumors that it planned to launch standalone Ikea restaurants to sell its popular Swedish meatballs. You'll have to keep going to the big stores for that experience.